I need to make active/visible a new filed before ‘Add to cart’ button, only if user select a specific option. The case is simple: I sell t-shirt with options: “Small”, “Medium”, “Large”, “Size upon request”. 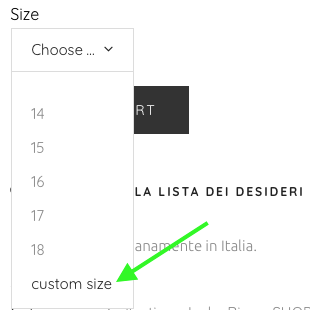 If user select “Size upon request” I need to know which size needs. I found some plugin to get this, but they add field in checkout page, I need before add to cart.